Toltsoy’s War and Peace is a wonderful study of Russian aristocratic life, and a keen example of why Russia is the way it is today. Besides that aspect, Tolstoy had an amazing understanding of human nature and social behavior. His portrayal of interactions capture my attention, making me feel like I were truly a fly on the wall. Prince Andrew always became specially keen when he had to guide a young man and help him to worldly success. Under cover of obtaining help of this kind for another, which from pride he would never accept for himself, he kept in touch with the circle which confers success and which attracted him. Obviously much of this is wrapped up in privilege, class, and socioeconomic relationships within the framework of the book. The person for which Prince Andrew was keen on mentoring was none other then a son of a wealthy count, but its still not lost in the reality that mentors make a huge difference in the lives of young people. In fiction this is pretty explicit example of the discussion on mentorship. However, mentorship is not limited to fiction, as it is fiction that tries to portray human society, mentorship is a significant aspect in biographies of the rich, famous, and powerful. What I find of particular interest is an emphasis on mentorship for males, and how important it is for young men to have sound and strong mentors in their lives, besides their fathers. One way to think of this relationship is in terms of the extreme “master and apprentice” structure where an apprentice learns a trade from the master tradesman. But mentorship itself is not a holistic process, nor is it so defined in relationship as the “master and apprentice” model. We might stumble around what can only be described as a generational gap. Often it’s very much a process by which the mentee has to be open and interested in having a mentor; while the mentor, has to be generous and have something to offer to the mentee. 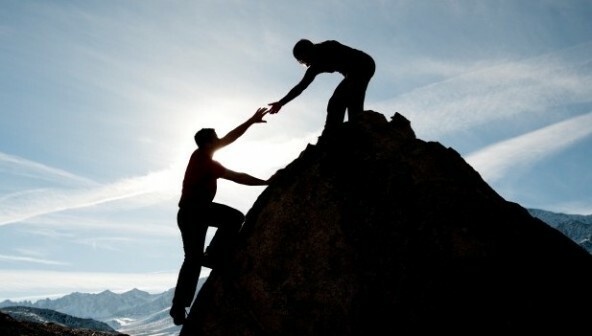 Those who are blessed to have a mentor, or more then one, go on to become mentors. I for one can’t say that I had a mentor of sorts, and I feel I’ve missed out on something. Gandhi and Tolstoy; Mentee and Mentor? For example Tolstoy himself went from being a privileged aristocrat to an author espousing an Christian anarchist philosophy, influenced by Victor Hugo and French anarchist Pundhout. He was so keen on helping others around him that he solicited young aspiring writers, artists, and intellectuals to correspond with him. One targeted group were South Asians, people he referred to as “Hindoos”, in order to preach the gospel of independence and liberty through his book-pamphlet titled “Letter to the Hindoos.” These were sent out to hundreds of South Asians in public life throughout the British Empire. One of those pamphlets landed on the desk of a young lawyer laboring away in South Africa, who we all know as Gandhi. Gandhi explicitly said that he owed a debt of intellectual capital to Tolstoy. In fact, amongst the books Gandhi had in his library, six were works by Tolstoy, more then any other books written by a Western author found in Gandhi’s library. It appears that by the time Gandi corresponded with Tolstoy, Tolstoy was at the zenith of his literary and philosophical stage, while Gandhi was a little known Indian lawyer in British South Africa. The book left an impact on Gandhi, probably because it affirmed his intellectual understanding and methodology he had been mulling over for quite some time when it came to how to manage the British imperial rule of India. It was in 1909 that the two men began this correspondence, which lasted only a year, as Tolstoy would die in 1910. This exchange was important enough for both men to recognize what each had to offer, and for Gandhi it formed the basis of his philosophy moving forward, according to Anthony J. Peril in one of the collected essays called Meditations on Gandhi.